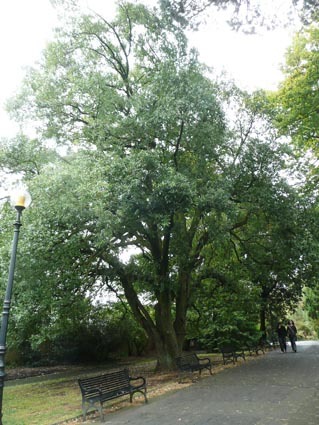 This is one of the largest evergreen oaks in Belfast Botanic Gardens, with an attractive spreading shape. 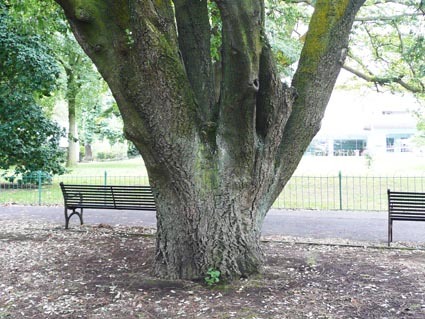 It is located close to the main path leading into the gardens from the Malone/Stranmillis gate. 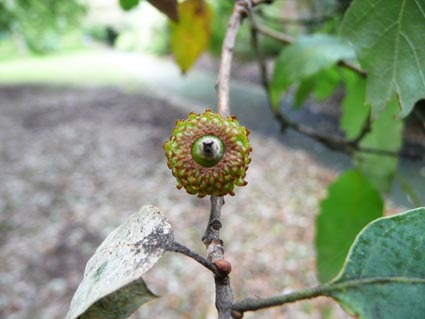 The "x hispanica" oaks are hybrids between the cork oak (Quercus suber) and the Turkey oak (Quercus cerris); they occur naturally in Spain where the distributions of the two parent species overlap. 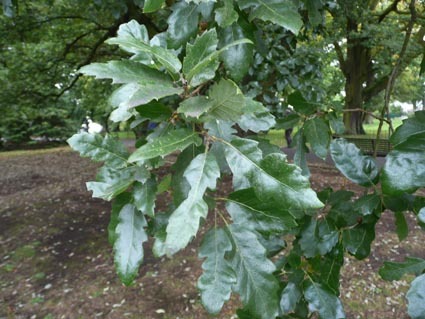 There are a number of x hispanica varieties in the horticultural trade including the Lucombe oak (Q. x hispanica 'Lucombeana' ) and this one. 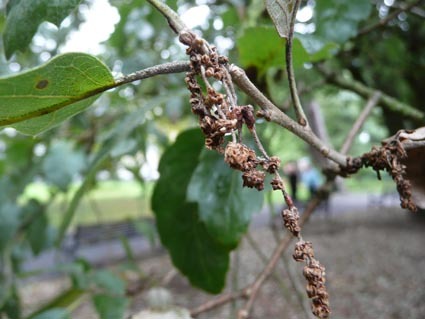 It is semi-evergreen, losing some of its leaves in winter. 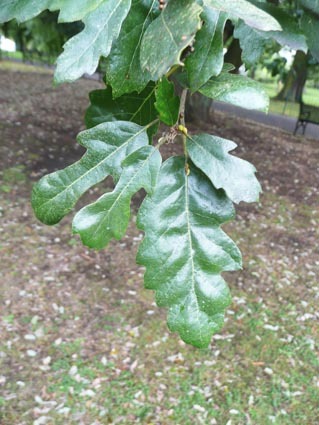 The leaves are a dark very glossy green and the small acorns rather like those of its Turkey oak parent.